I’m going to confess something. When we got our antenatal diagnosis of Down Syndrome in my first pregnancy, I think I saw the baby as a bit of a project. I was willing to put the hard work in to ensuring he was able to get as far as possible in life. Not for my credit, but to ensure as many doors were open to him when he was older. About a year ago though I watched a few videos over a short period of time of adults with Down Syndrome. These were all high achieving individuals and yet all of them still had issues with their speech. And then it hit me, Daniel has Down Syndrome. He will always have things in life he struggles with (actually, don’t we all? No matter what I try my attention span is poor) and speech is one of them. He will be exceptionally unlikely to speak fluently, effortlessly and being easily understood. The oddest thing about this realisation was how free I felt. I had adored Daniel for who he was from the moment I met him. The ‘project’ part fell away pretty quickly but I still felt this obligation to teach him as much as I could in the early years window to give him the best opportunities in life. I didn’t. All I needed was to accept him for who he was. And I already did so the pressure I’d been putting on myself just lifted! So how can families with a child with special needs flourish? The first thing is the key one. Love is the umbrella over all of life. It makes the inconvenient and difficult aspects of parenting this child manageable. They're still your child - precious and wonderfully made. [I was going to say they’re half you and half the person you love, but if they’ve a trisomy chromosomal disorder then that’s not true. Colin and I both try and lay claim to the extra chromosome so we can say Daniel is MORE than half me, as he’s so utterly wonderful!] Love and cherish this child for who they are. Toilet training issues due to laziness? Sleep issues due to over indulgent parenting? Come back to me when you’ve five years experience of parenting a child with Down Syndrome behind you and then I may listen. Before that I’m not interested. You have to learn to bite your tongue and ignore the insensitive comments. They don’t understand. And we don’t have to justify ourselves and our children to them. This is true of all children I guess. But I know with Daniel I agonised over school choices like there was an option that was 100% perfect. Colin wisely said when we were looking at schools far and near that say Option A was 95% perfect, but Option B was 90% perfect and suited the rest of our family better, would that 5% really be a deal breaker for Daniel’s development and happiness? No. We ended up sending Daniel to the primary school closest to our house where we’d have sent our children if they’d not had special needs. We knew they were very supportive of SEN, the atmosphere and staff reinforced our positive impressions and we just decided to stop second guessing. It has been incredible so far. We are so thrilled! Of course, things like school choices and extracurricular activities can be made very difficult if people aren’t interested in inclusion and helping make it work. So if the school aren’t on board, the first sign of a problem (related to the special need or not) and they’ll suggest that this isn’t working, and maybe you need to go elsewhere. In those scenarios, I would suggest moving, but between two ‘good’ options, it’s unlikely to be a deal breaker! So don't overthink things or try and always find the perfect solution. Parents whose children have similar health problems, or special needs, or behavioural issues need to be part of your tribe. Supportive as my other friends are, they don’t understand some of the issues, particularly for us around sleep, repetitive questions (Daniel could spend ten minutes asking “What dinner mummy?” back to back solidly) and having a school age child in nappies. So I need parents who understand, I can vent to and we can support each other through the tough times. 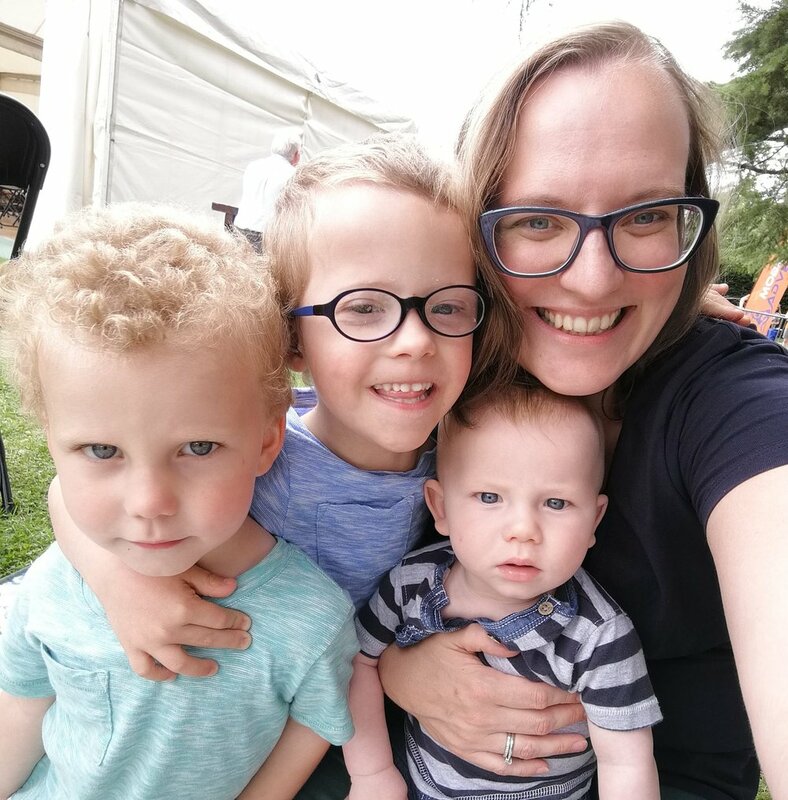 I’ve written an article for Green Parent – you can read it here – all about parenting a child with special needs in a gentle and attached way and how that has helped. It is hard to always remain patient and gentle when you have what I call “Poo Incidents” every time you go to a playground, but this is a child who needs extra support and love, particularly at these times. Following this style of parenting has only helped Daniel flourish, and thus us as a family. I discovered some people thrive off the drama off knowing someone with a child with extra needs. You can bet they tell other people all about how they help you, yet when you spend time with them it can feel like all they do is drain you and sap your energy. Cheerleaders are those people who encourage you quietly (or not!) when they see the little things you’re dealing with. They build you up and make you feel loved and your child of value. Keep in with those people and not the others. Parenting a child with special needs can be a lonely place. Self care for the parent doing most of the caring is key. It is a harder parenting journey in many ways – the bureaucracy around obtaining a Statement of SEN, juggling appointments and keeping on top of medication and health issues and the long term worries – but actually far more rewarding and special in others – waiting four years and nine months to hear “I love mummy” was honestly the most wonderful moment. Seeing him point at the number 5 on the aisle at Tesco and say “Mummy, 5! I’m 5!” – I can’t tell you how utterly wonderful it all was. Oh yeah, this point was about self care. That is important. But I got distracted because actually, Daniel is the most wonderful son I could ever have hoped for and flourishing when you have a child with special needs can actually be fairly straightforward after all!